The founders of FINCA understood that poor people could receive and pay back small loans, and that these loans could transform their lives. Over 30 years later, that concept of microfinance has helped millions of hardworking people to build businesses, increase their incomes and improve their lives. 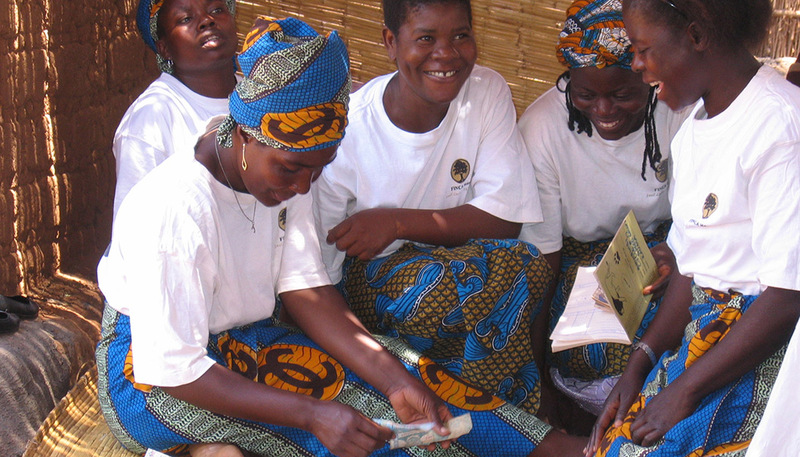 One of FINCA’s Village Bank™ groups in Malawi. “Microfinance” refers to the financial services provided to low-income people, traditionally to support self-employment. This includes small loans, savings plans, insurance, money transfers and other basic financial services. But FINCA knows that loans alone are not enough. We have invested in innovative technologies and solutions to reach more people with vital financial services. These services help families start and build small businesses that become critical sources of employment, income and economic vitality. Access to essential financial services can bridge the economic gap between the haves and have-nots. It can also create economic sustainability and self-reliance for the poor. Salaried or wage-paying jobs are scarce in many developing countries. Many citizens earn their living through informal markets and self-employment, by creating and operating their own small enterprises. Financial services can empower individuals economically and socially by allowing them to manage their complex lives. It can also help them to better integrate into a country’s economy by actively contributing to economic growth while giving them a stake in their immediate community. Nearly two billion people around the world are financially excluded, without critical access to credit, savings or other basic financial services. Traditional banks often do not serve the “micro” loan segment or even the small business segment in developing countries, because it is too costly for them or they don’t know how to serve people working in the informal economy. Financial inclusion is one of FINCA’s core interests. We believe in economic opportunity and justice for all and are working hard to achieve that ideal.